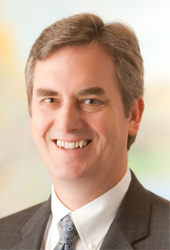 UNMC › Neurological Sciences › About Us › Meet Our Faculty › Daniel L. Murman, M.D. Dr. Murman is a Professor with the Department of Neurological Sciences at the University of Nebraska Medical Center. This institution is also where he received his medical education and he graduated with research honors. His postgraduate training included a Residency in Neurology and a Fellowship in Cognitive Disorders/Geriatric Neurology at the University of Michigan Hospitals in Ann Arbor, Michigan. While a fellow, Dr. Murman completed a masters degree in Clinical Research Design and Biostatistical Analysis form the School of Public Health at the University of Michigan. Prior to coming to UNMC, Dr. Murman was an Assistant and Associate Professor in the Department of Neurology and Ophthalmology at Michigan State University. Dr. Murman joined the faculty at UNMC in 2004. His research interests include clinical and health services research focused on Alzheimer’s disease, Parkinson’s disease and related neurodegenerative disorders. Clinical interests include the care of patients with neurodegenerative disorders including Alzheimer’s Disease (AD), Dementia with Lewy Bodies, Frontotemporal Dementia, Parkinson’s Disease and Huntington’s Disease. Dr. Murman is currently the site-PI for three national clinical trials for patients with Alzheimer's disease, including the Anti-Amyloid Treatment in Asymptomatic AD (the A4 study), the Expedition 3 trial for patients with mild AD, and the Nobel Study for patients with mild to moderate AD.